As we get towards the end of Marvel’s Infinity event, we’re starting to get the shape of what the universe will be like once the cosmic storyline comes to an end. 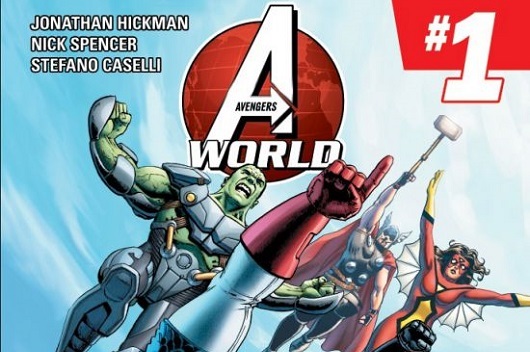 One of the books that will spin out of Infinity was announced at New York Comic-Con this weekend with Avengers World set to release in January 2014. Morning Glories bears more than a passing resemblance to Lost. It’s not a straight rip-off, but the plot structure is undeniably derivative. So what? True originality in fiction is incredibly rare. Originality is also completely unrelated to entertainment value, which is how I judge my comics. 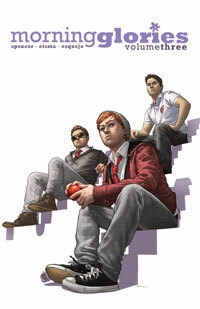 And that’s where Morning Glories shines: this series is a true page-turner. At the end of each issue you can sense a collective “d’oh!” from the thousands of fans devouring the issue on release day. Morning Glories is a sure bet to end on a shocking cliffhanger will hang, unelaborated, for several issues. The ever-deepening mystery cannot sustain itself indefinitely, however. Fans demand answers. How much longer can writer Nick Spencer slab layers on to his mystery cake before fans start tuning out? 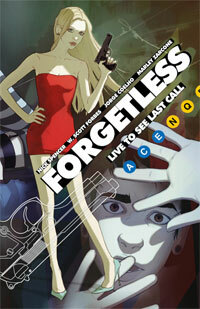 At first I was nervous to jump into Forgetless, the new trade paperback from Nick Spencer, of Morning Glories fame, about a New York City dance party that he has said in interviews is openly influenced by the films Go! and Igby Goes Down. On the one hand I’m a big fan of his work on Morning Glories, and on the other hand I really hated those movies. What I ended up with was an interesting comic about uncompelling New Yorkers which, if you stick with it, has a surprisingly rewarding ending. 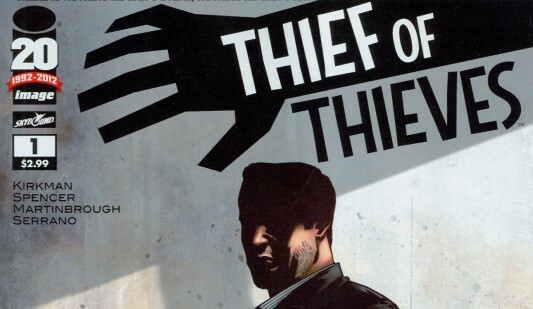 AMC announced today that Robert Kirkman will be bringing the new Image comic book Thief of Thieves to the the cable network. 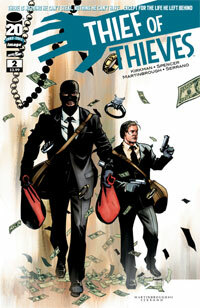 The Thief of Thieves comic book is a collaborative effort between several creators including Robert Kirkman, Nick Spencer, and Shawn Martinbrough that tells the story of a master thief who delves back into the underworld that he tried to leave, and vows only to take what has already been taken. As a comic, it feels very much akin to the many comics from Ed Brubaker and Sean Phillips considering its crime/noir vibe. Each and every week “Daniel Bryan Danielson Is The Best In The World” MK2Fac3 and “Steve Yzerman Is The Best In The World” Henchman21 read a lot of comics. Seriously you guys, a lot of comics. Maybe too many comics. I mean, it is possible… theoretically. They look forward to some more than others, I mean, who doesn’t? So, let’s take a look into the depths of their pull lists, grab some comics, and we’ll let YOU know what the top books to look forward to are for the week of February 22, 2012. Single issues and trades, they’re all here. Hey everybody and welcome back to your place to see all of the latest comics that myself (MK2Fac3) and Christianford McDavid (Henchman21) are looking forward to this week. I have no idea what’s going on right now other than the fact that comics are super cool and we like to read them. There’s a whole lot of interesting stuff coming out this week, some new, some old, and honestly some of the best comics being published are coming out this week too like The Sixth Gun, Morning Glories, and more, so check below to see what we picked. I’m listening to trip hop from 1998, what are you doing? Reading The GoD List, that’s what!